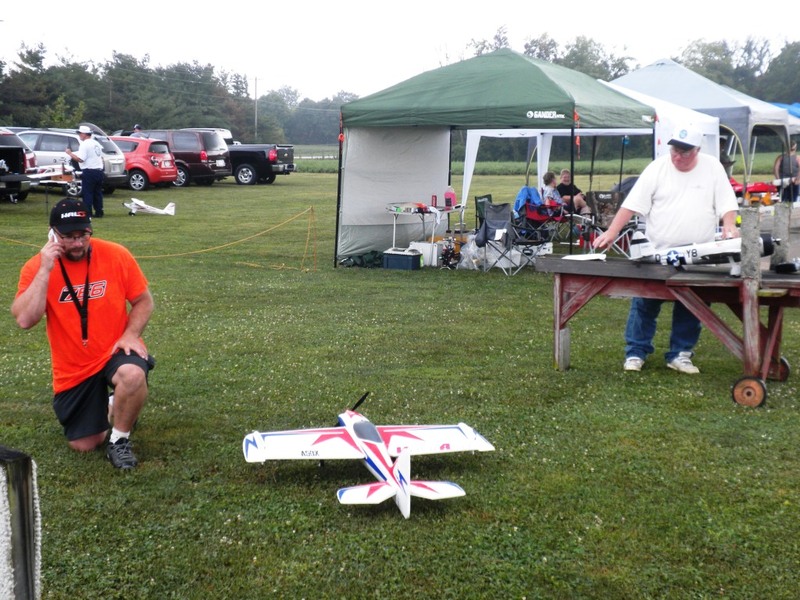 Join the Blacksheep RC Modelers and the Academy of Model Aeronautics Foundation in celebrating model aviation for the fourth annual National Model Aviation Day, August 13, 2016. 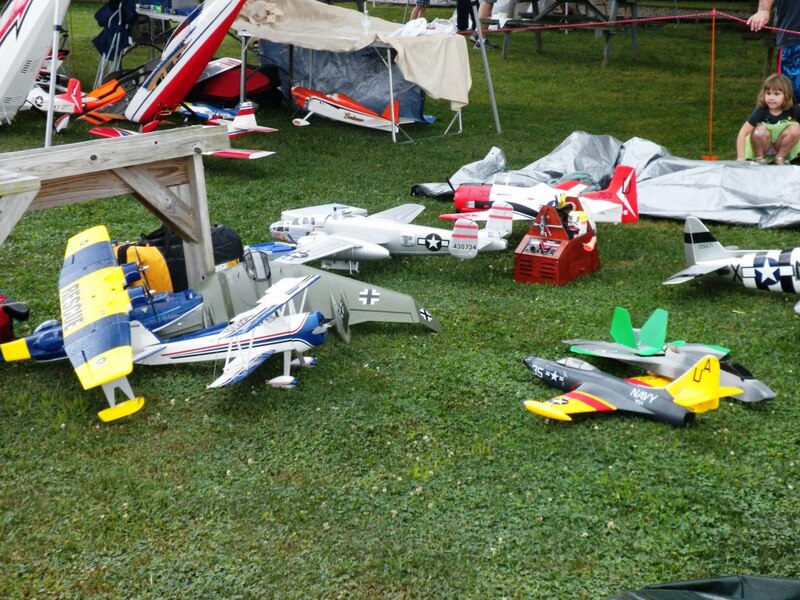 National Model Aviation Day was created to encourage clubs to celebrate the hobby and share it with the public. AMA chartered clubs have also been asked to conduct a fundraiser to provide assistance to a worthy cause. Although the AMA chose the DAV, we chose Hoosier Veterens Assistance Foudation as they are local based. This year we are aiming higher and have a great bunch of donations, both monetary and products for our raffle. 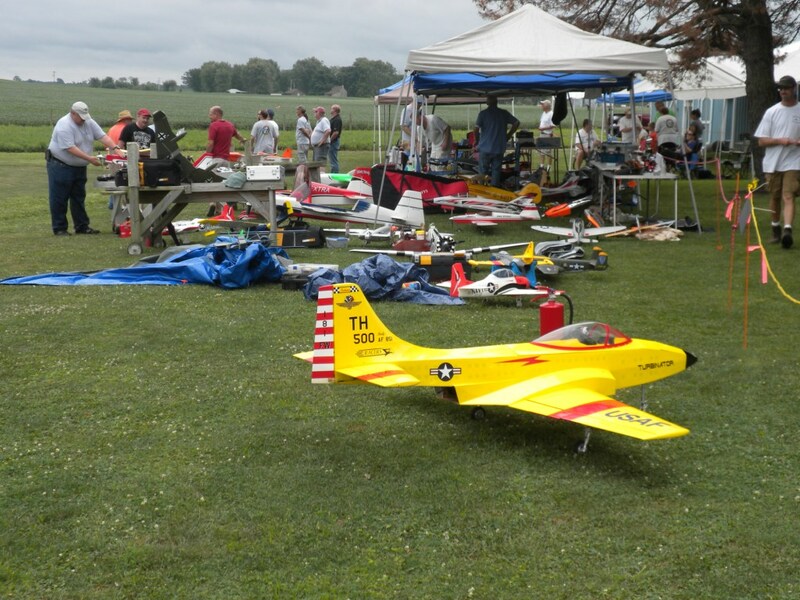 We will have all types of model aircraft on display and flying. We have some great raffle prizes and a great pulled pork lunch to help raise money for Hoosier Veterens Assistance Foudation. 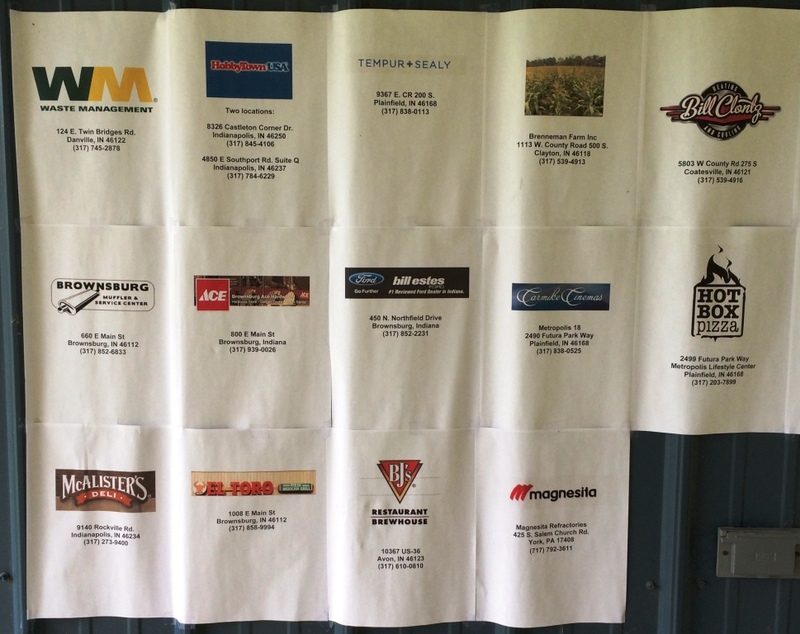 2016 event sponsors and supporters; please thank and support all the companies and individauls who donated money for HVAF or prizes for the raffles. 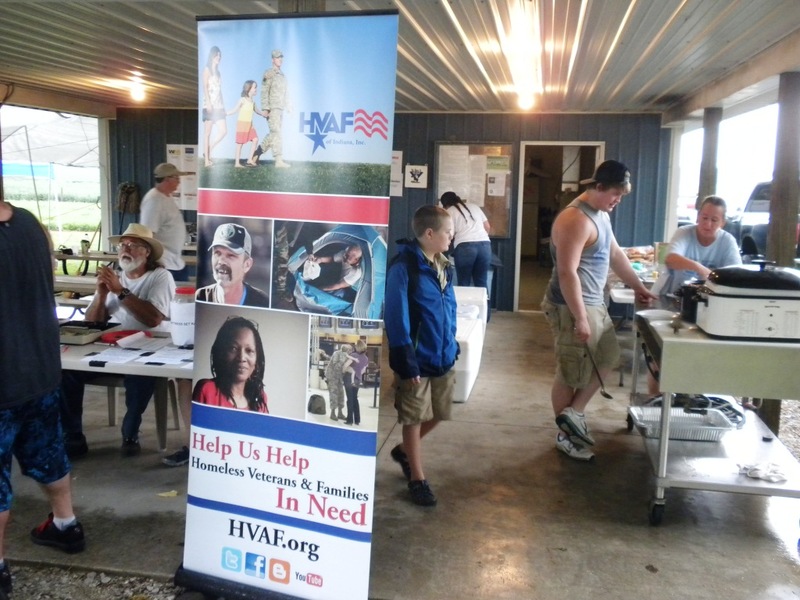 Our 2016 NMAD to support Hoosier Veterans Assistance Foundation is now in the record books. Early count for fund raising efforts is $5,600 - $5,800. Thanks to all who helped for set up Friday ad special thanks to all who showed up ad helped today despite the rains ad low ceilings. The day officially started with Danville Boy Scout Troop 301 presenting the flag as our national anthem played over the loud speakers. There were planes of all types ad sizes represented o the flight lie for the crowds to look at. 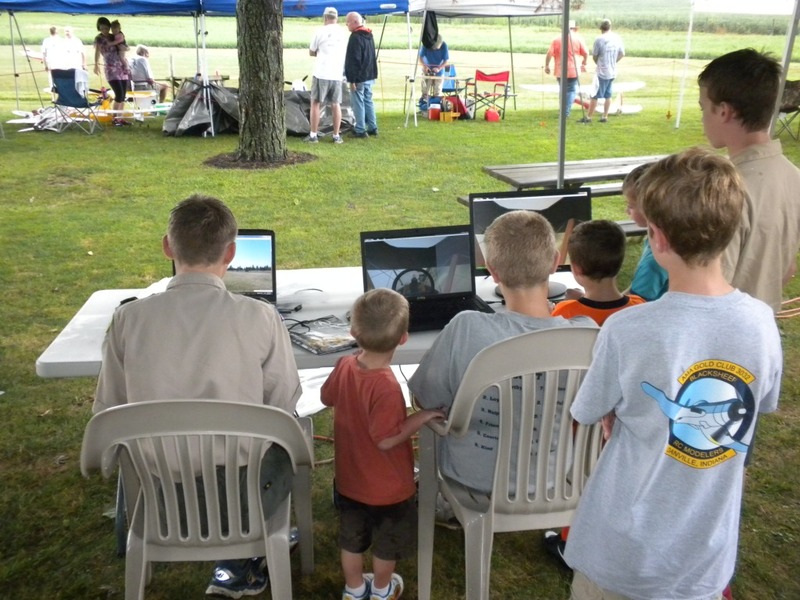 The flight simulator tent was busy all day. We had planes I the air the entire time it was not a downpour. 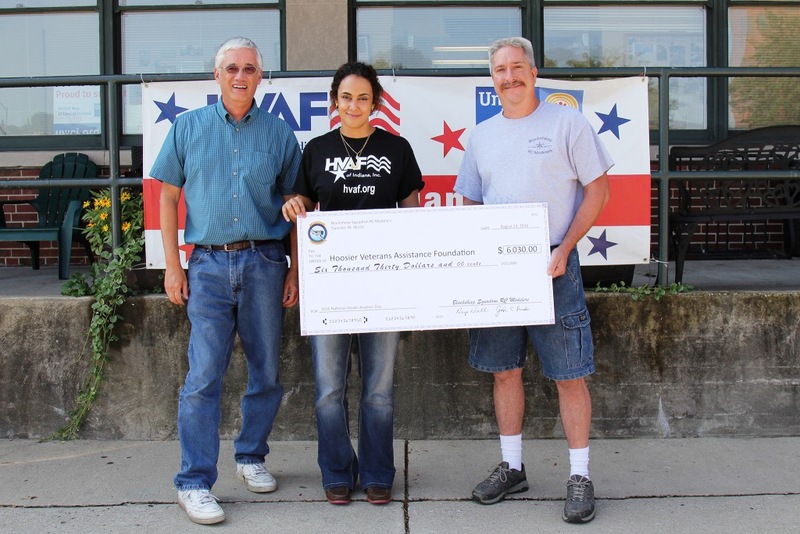 Special Thanks to all who raised money to support HVAF. Bill Clontz is certainly the master. 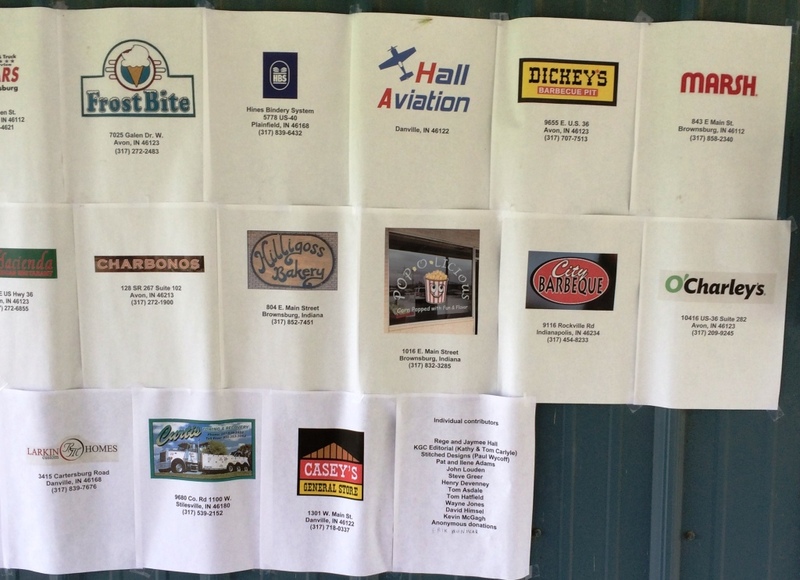 Tom Carlyle really beat the bushes again this year for over 60 items from local businesses. 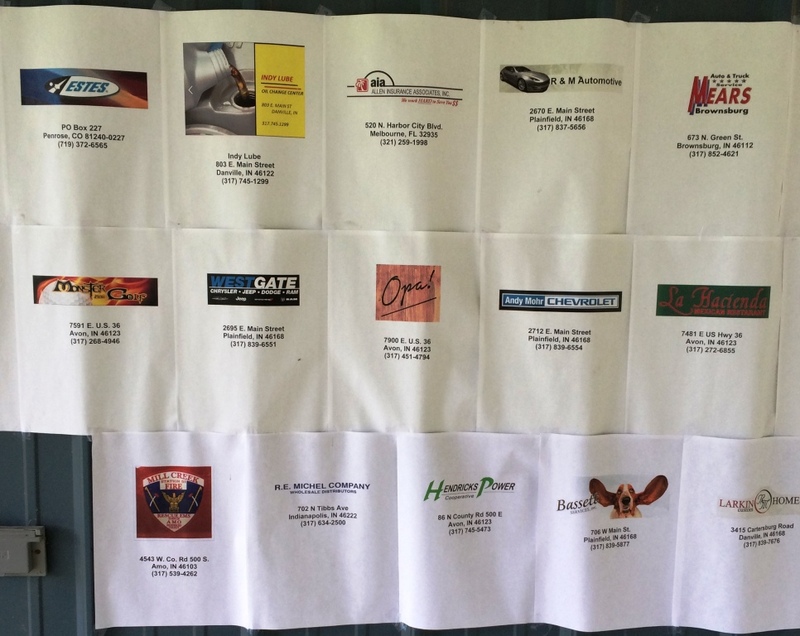 Lot's of very happy raffle winners, we sold just over 1,200 raffle tickets ad 100 pulled pork lunches. The crowd really seemed to enjoy the noon air show, forgive me if I miss anyone. 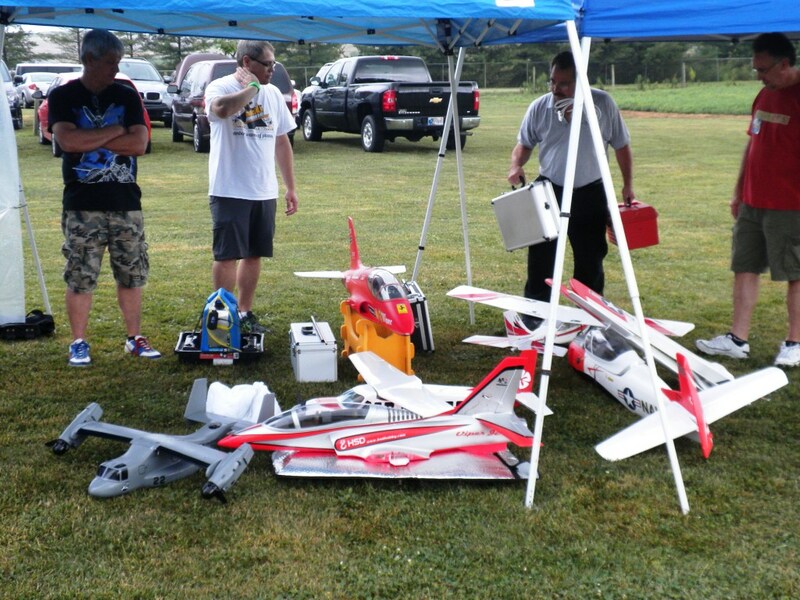 Faron Trosper opened the noon demos with an RC skydiver, then Tom Hatfield flew his 50cc Extra 300, John Louden flew his very fast E Outlaw, Mark Marshall flew a short field take off with his Timber, Ryan Jones flew his new 90mm EDF Super Viper, very nice. 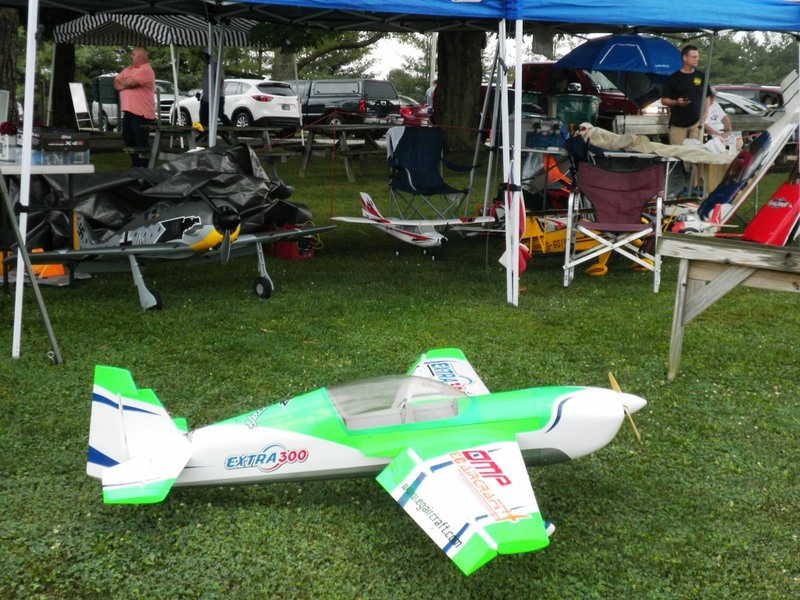 Also, Kyle Bushman flew a unique auto gyro, Bill Clontz flew his 100cc sized electric Extra 300 and 8 cell EDF Cobra jet (very fast with 8 cells). The prop on Bill's Extra sound very much like a howling prop on a full size aerobatic plane. 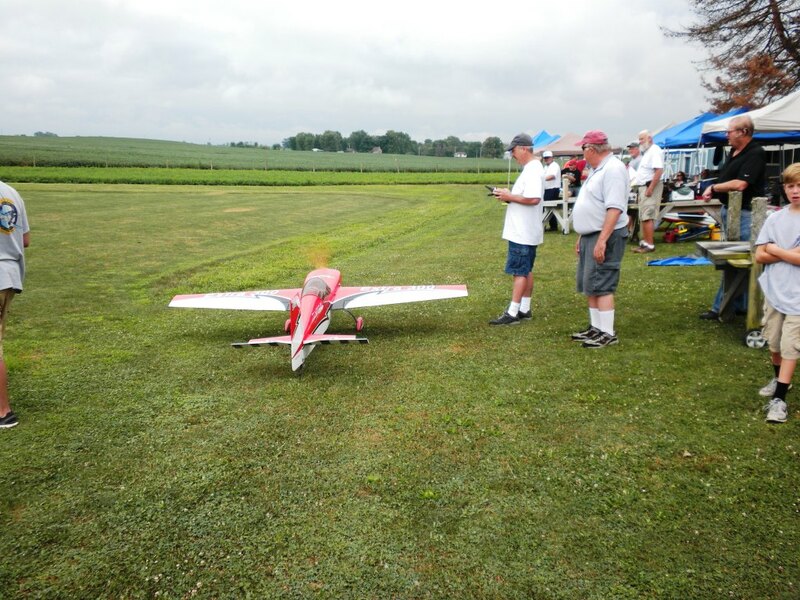 Also, to the entertainment of may, Rege Hall flew his 81" wing span Turbinator turbine powered jet. Most have not seen a real gas turbine rc jet, smoke and all. Was not a good day for photos, however, here are a few. 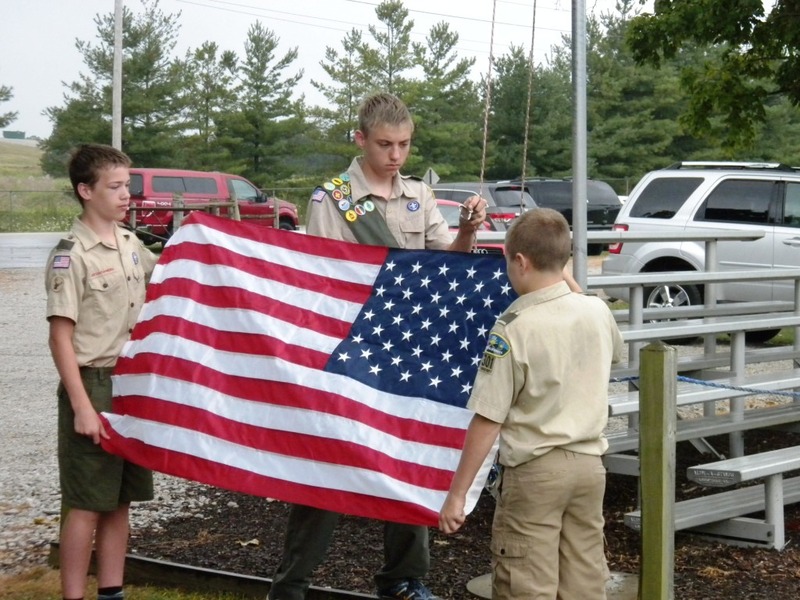 Danville Boy Scout Troop 301 did the honors of presenting our flag to start the days activities. Flight line shot of our 2016 NMAD event. Rege Hall's Turbinator in the foregroud, the Miller's fleet and Bill Clontz's fleet in the backgroud. 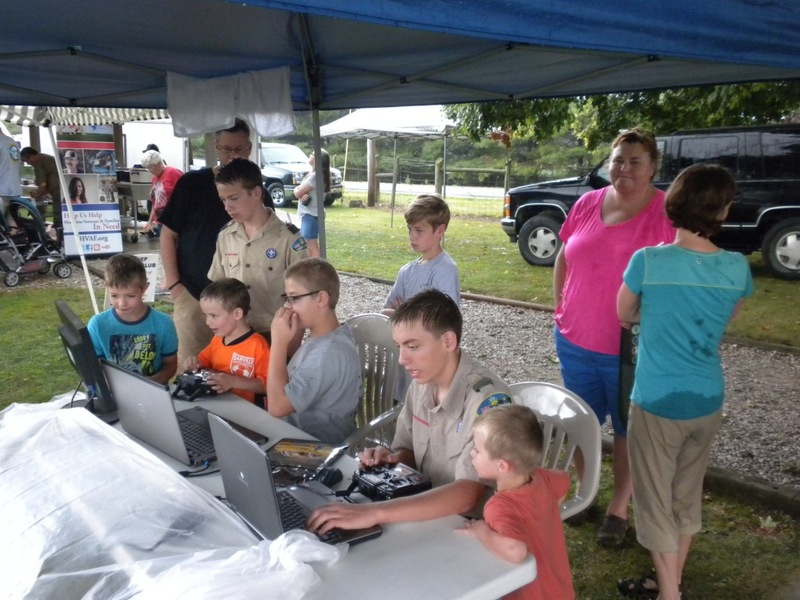 A couple shots of the busy flight simulator tent. It had young and old alike all day long (it was one of the waterproof pop ups). 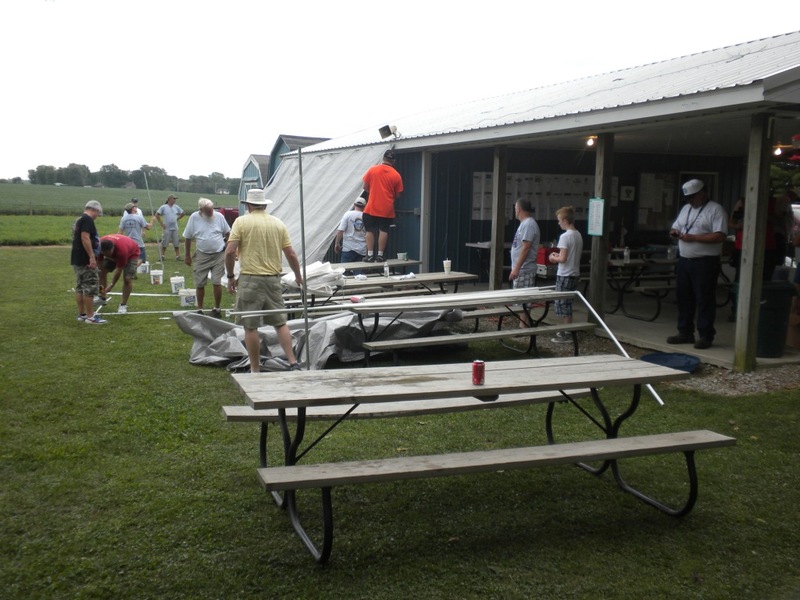 Hoosier Veterans Assistance Foundation banner in the foreground with the pulled pork crew getting ready. 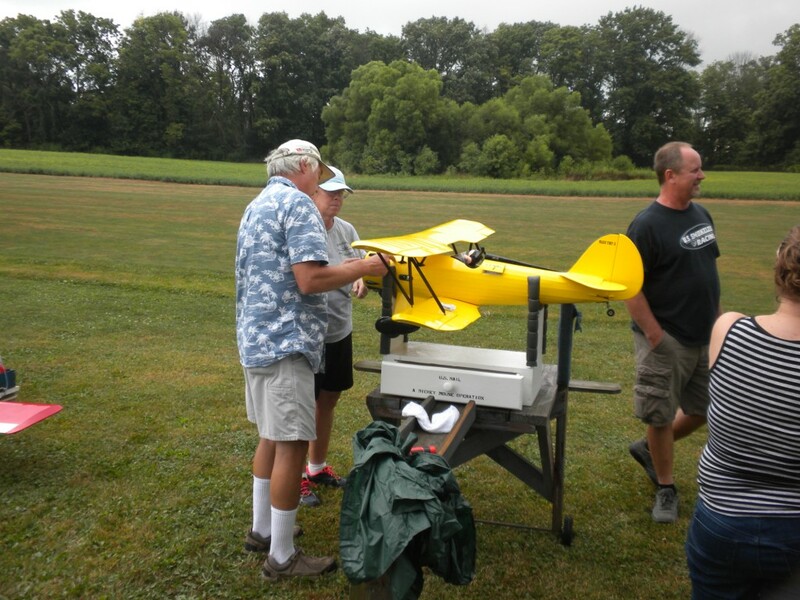 Kyle ad Steve Bushman with their fleet of aircraft. 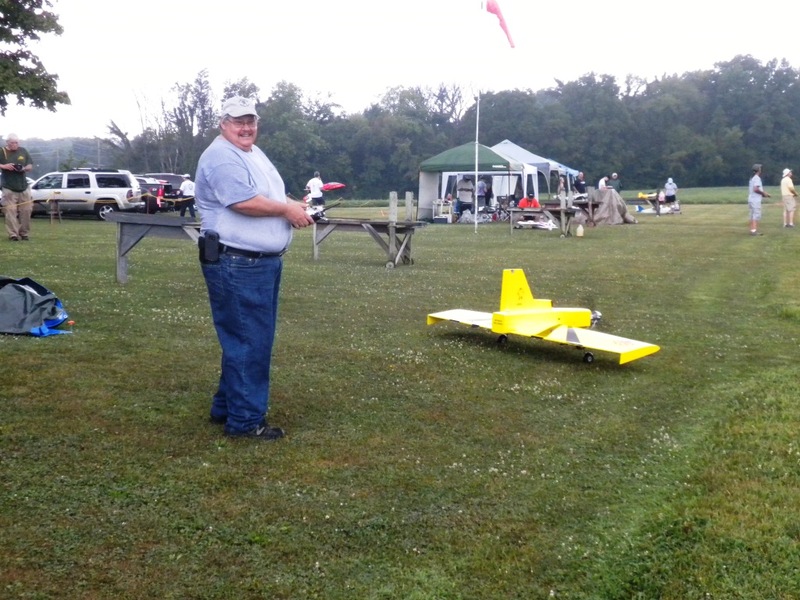 Kyle brought his ice P-47 with a new DLE 60 and a scale 4 bladed prop. 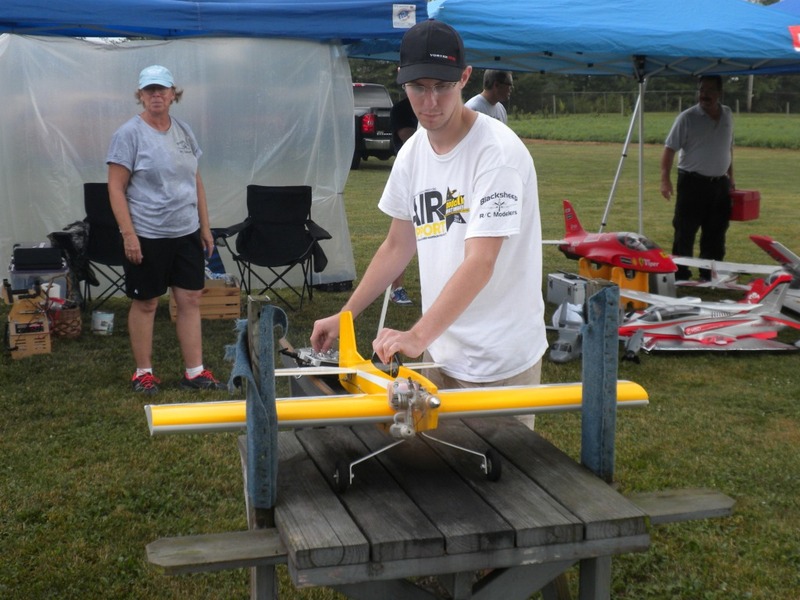 Faron Trosper with John Scolaro assisting, getting the rc para chuter ready. Faron was flying a new Bravata. Tom Hatfield's OMP 50cc Extra 300. Tom flew this in the noon airshow. Don Schmedake taxiing his Bill Evans Desperado. Don is the king of unusual aircraft. Dave and Joe Miller's squadron of aircraft, both made many flights. 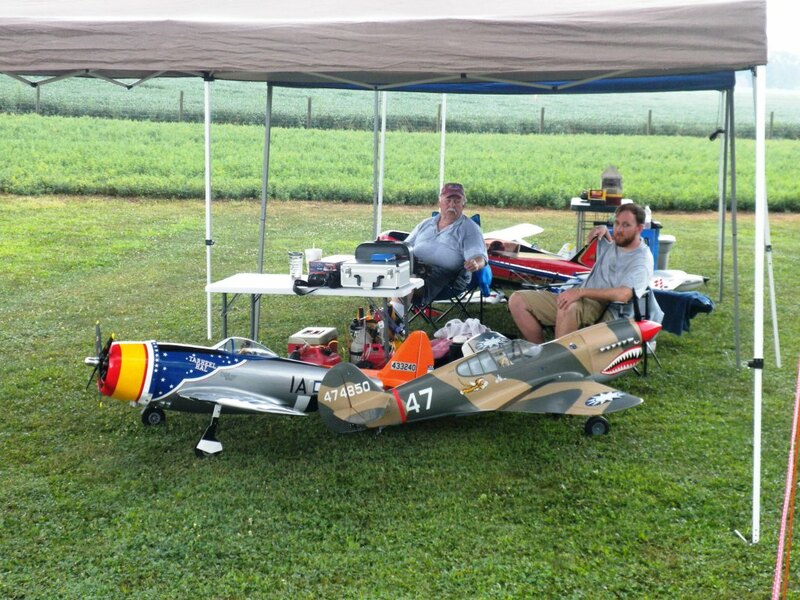 Justin Hartsock and Joe Hartsock o the flight line. Brian Martin with what looks like a Fun Mustang. Ryan Jones and David Jones aircraft, both guys also specialize in some unusual aircraft. Clarke Boncquet with his Waco. 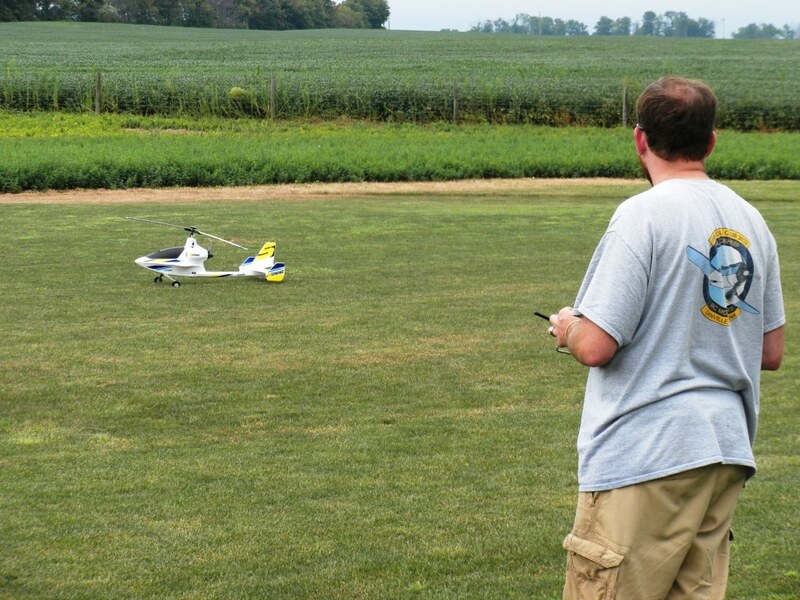 Kyle Bushman durig the noon demo flying a unusual auto gyro, flew well. 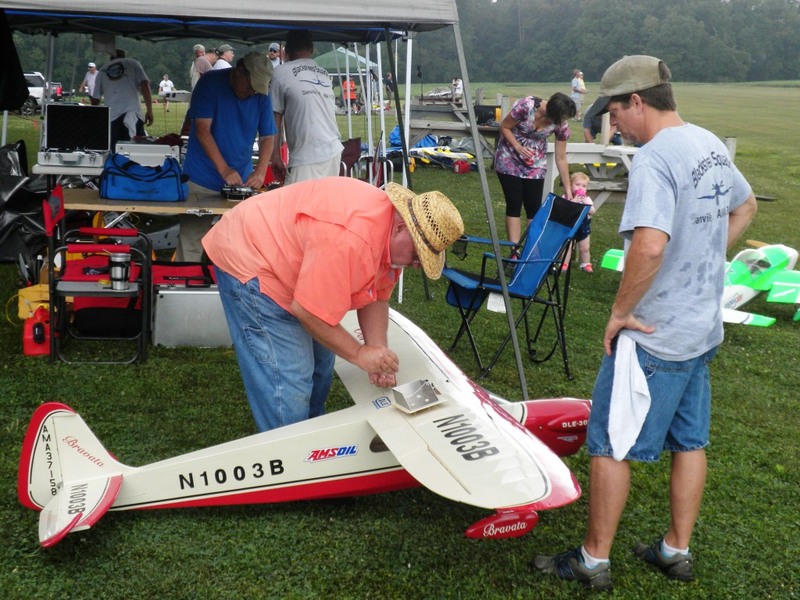 Bill Clontz taxing back after a exciting flight with his 100cc electric Extra 300. 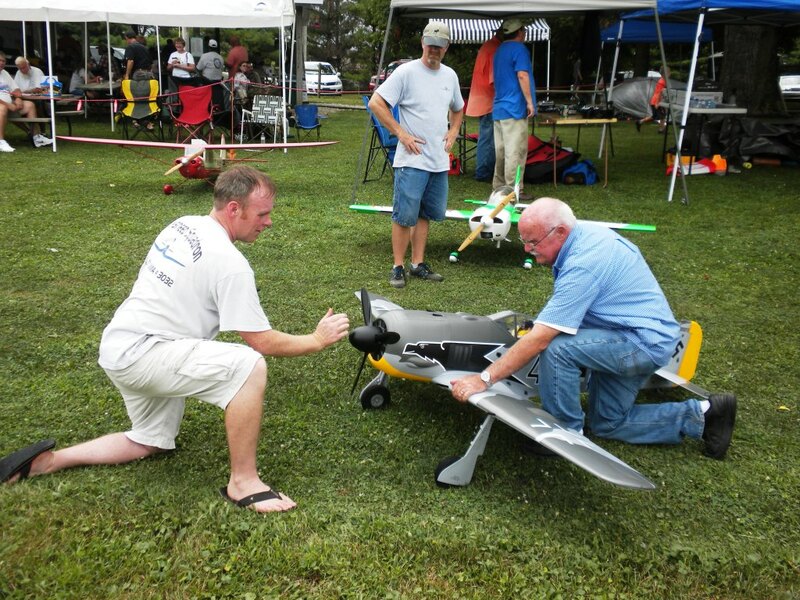 Tom E. Hatfield propping his very nice TF Focke Wulf 190, now with a scale 3 blade prop. Tom L. Hatfield assisting. Ah, the day is done and the clean-up must be done! (before the heavy showers arrive once again). 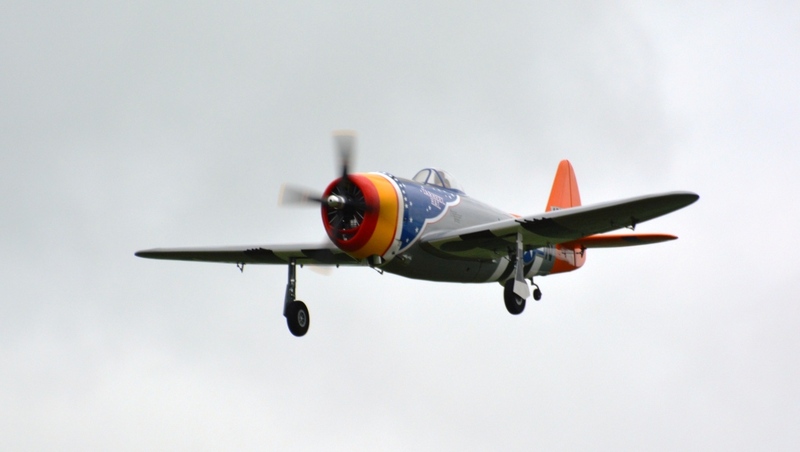 Kyle Bushman's Top Flite P-47 with 4 blade prop. Sara Jean Rees with her Bruce Tharpe design plane.